We're pleased to announce the official release of one of our most requested and anticipated features (it's only been on the roadmap for about 2 years...) GitHub Sync! 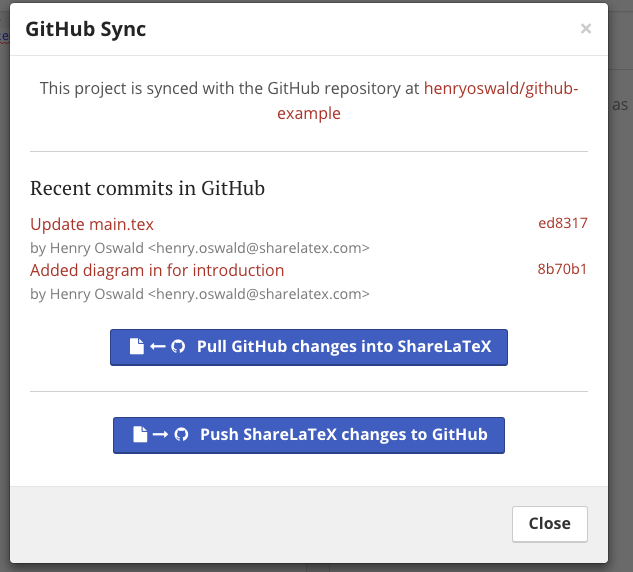 You can now link your ShareLaTeX projects to GitHub repositories, and push and pull changes. If you're a git user this will open up some exciting new offline and collaborative workflows. To get started you need to link your account to github allowing ShareLaTeX to read your repositories. You will be prompted to start the linking when you either clone from a github repo or want to push to a new github repo. It is also possible to link your account via the User Settings page. 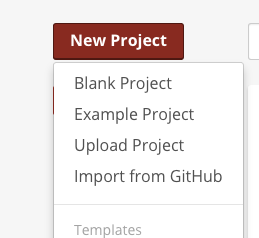 You can easily import a project from github into a new ShareLaTeX repo via the new project button. From inside the ShareLaTeX editor you can easily push and pull changes from Github meaning you are always in sync.